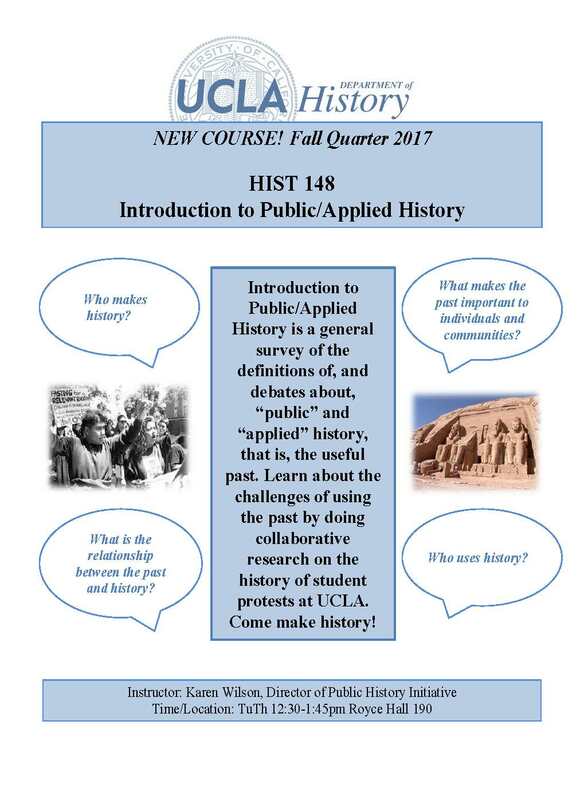 The UCLA Department of History and the Public History Initiative is proud to introduce a new Fall 2017 course taught by PHI Director Dr. Karen Wilson. Through collaborative projects and engagement with visual and textual tools, students will learn how historical research is used to inform digital projects, public policy, museum exhibitions, historic commemoration, and popular media productions. This is a hands on experience! Come and learn how history is applied and interpreted in a variety of places, settings, and media for a variety of audiences and purposes.